Header of the database has special page called DCM (Differential Change Map), this page will have the list of all pages which have been changed after full backup. Once we take a full backup, DCM will be wiped out. Each transaction will have LSN (Log Sequence Number). Each transactional log backup will contain the data (COMMITTED) since last LSN which was part of full backup/last transactional log backup. Any gap in LSN will corrupt taking/restoring backup, which can be solved by taking a full backup. If it is full backup then it is very easy to restore it using a wizard. 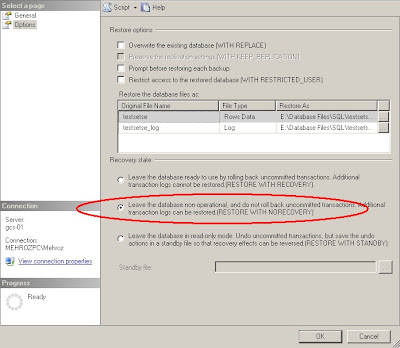 Restore a full backup WITH NORECOVERY option. 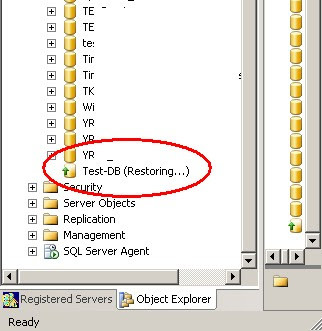 Once you restore a backup WITH NORECOVERY, it will display like this. 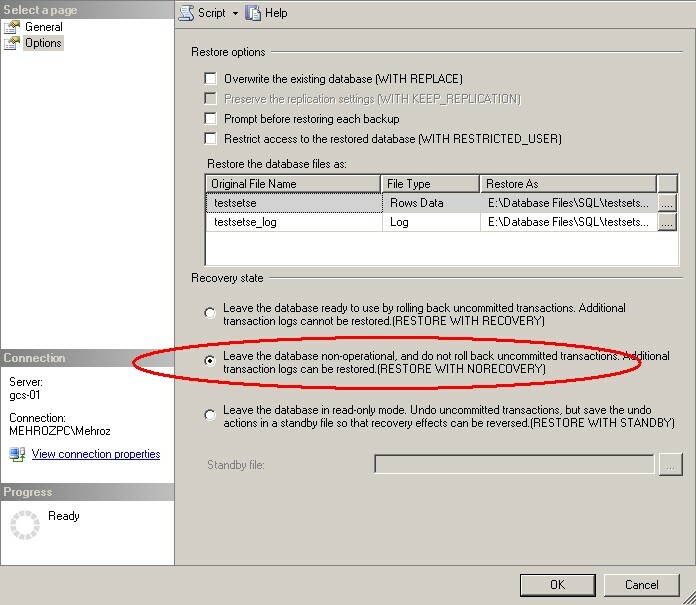 Once backup has been restored WITH RECOVERY option, no other transactional / differential backup can be restored on top of that.